If you do not live in Central London, you may have missed the quiet launch of the brand new Pixi Skintreats range at their flagship store this week. It’s been nearly three years since I first posted about the Glow Tonic (you can read the original review here) and since that time it has taken off in a way that no-one could predict, least of all myself and Pixi. To celebrate the extension of the skincare range, I am totally calling in my have-Pixi-on-speed-dial-status and giving away 7 products of my choice to one lucky reader of this blog. I’ve picked a full routine suitable for any skin type or age. I will review the skincare properly after the competition in time for its nationwide launch, but in the meantime, if you would like to be in with a chance of winning all of the above, simply enter as usual via rafflecopter below. No jumping through hoops, no following or rt’ing, just a ‘Thank You’ from Pixi for your amazing support of the brand. 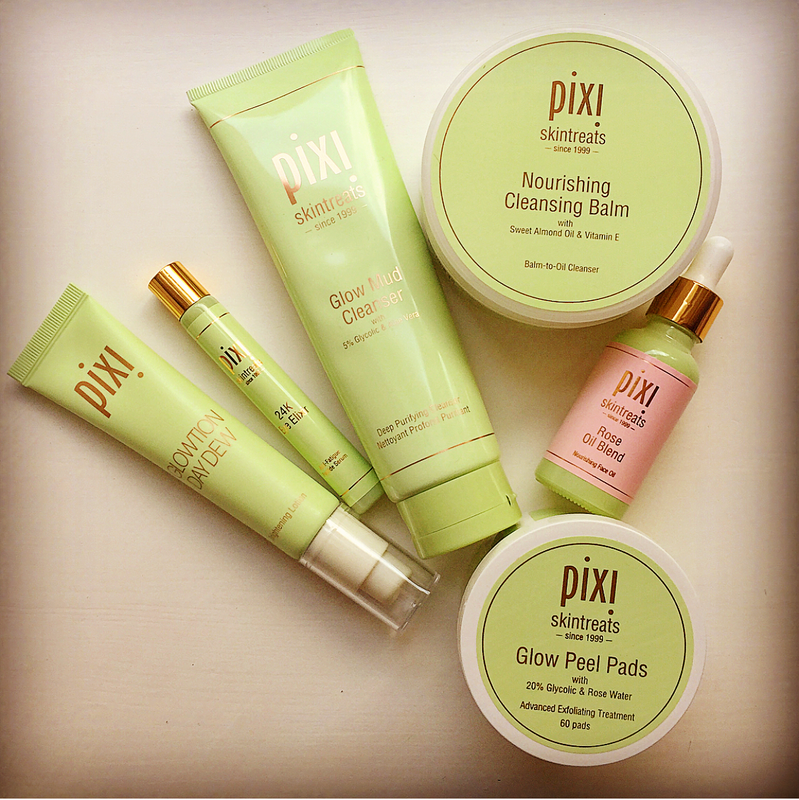 Pixi Skintreats are currently available in the Foubert’s Place store and online at www.pixibeauty.co.uk/skintreats. They launch nationwide on 3rd September (details to follow) and in the USA early next year.